Take as many chances as possible. See and do as many things as you can in every place - make the most of the short time you have there. 5AM Wake up in time to catch the early shuttle to the hot air balloons or hike to a lookout point to view the flights from on ground. Make sure to check the weather beforehand, as they can’t fly in dangerous or cloudy conditions. 8AM Arrive back at your hostel or hotel for a quick breakfast. 9AM Put on your hiking shoes and get on your shuttle for the Green Tour. 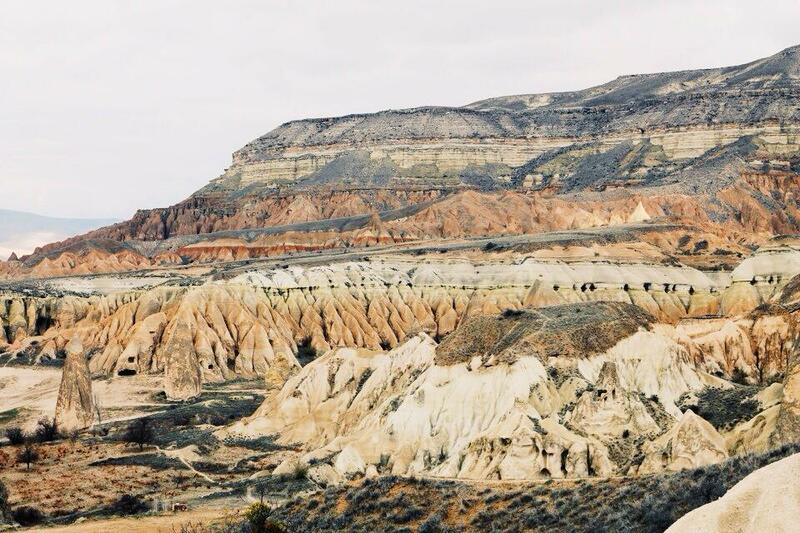 This tour I consider a necessity when visiting Cappadocia because your guide will drive you to the underground cities that are too far to walk to. 10AM Arrive and tour the Derinkuyu Underground city. You will travel down about 8 stories into the ground, and it can bit a claustrophobic at times if you are sensitive to that, but I didn’t find it too bad. It’s definitely worth it to see the underground living spaces. 11AM Go to Ihlara Valley for a hike. You will descend down many wooden stairs until you get down next to the river in Ihlara Valley, which you will walk through, stopping to explore the painted stone churches along the way. 12PM Stop at a local restaurant on the river for some traditional Turkish food and tea. 2PM Take your shuttle to the Selime Monastery. Climb up to see the different rooms and to catch a spectacular view of the cone-shaped rocks mostly recognized from their depiction in Star Wars. 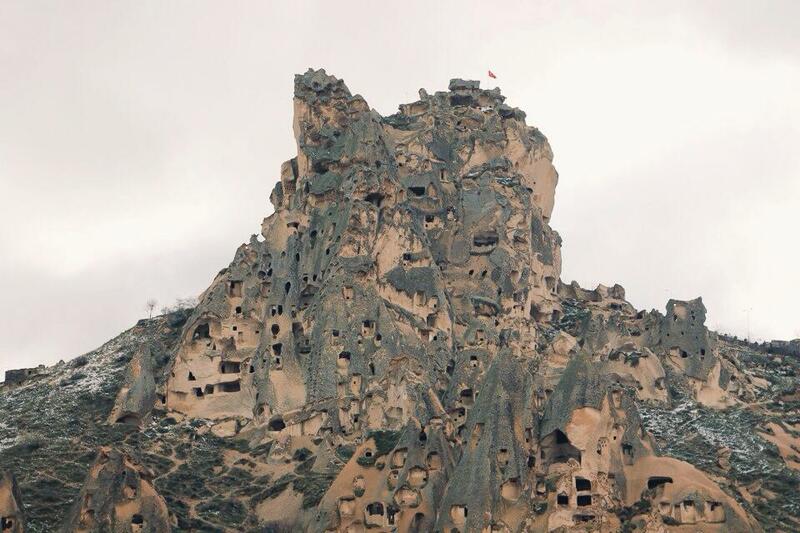 3PM Arrive at Pigeon Valley where you can see beautiful rock formations scattered with holes carved for pigeons. 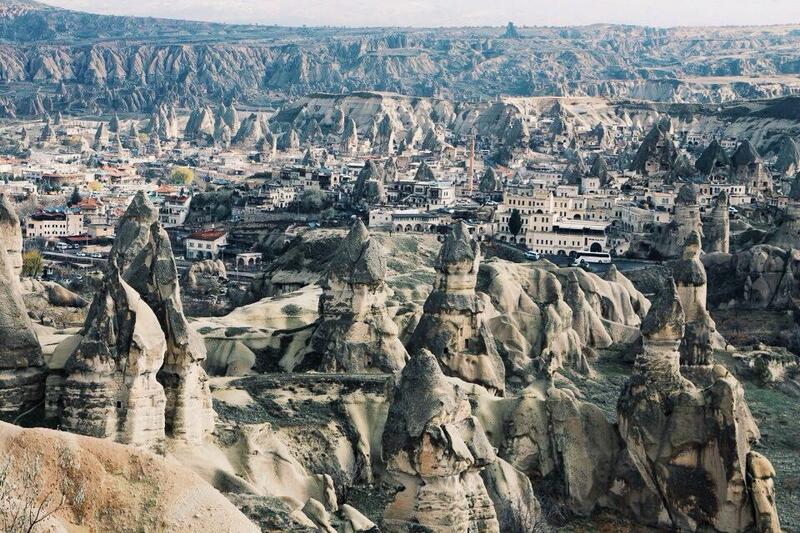 4PM Get to the Goreme Panorama. 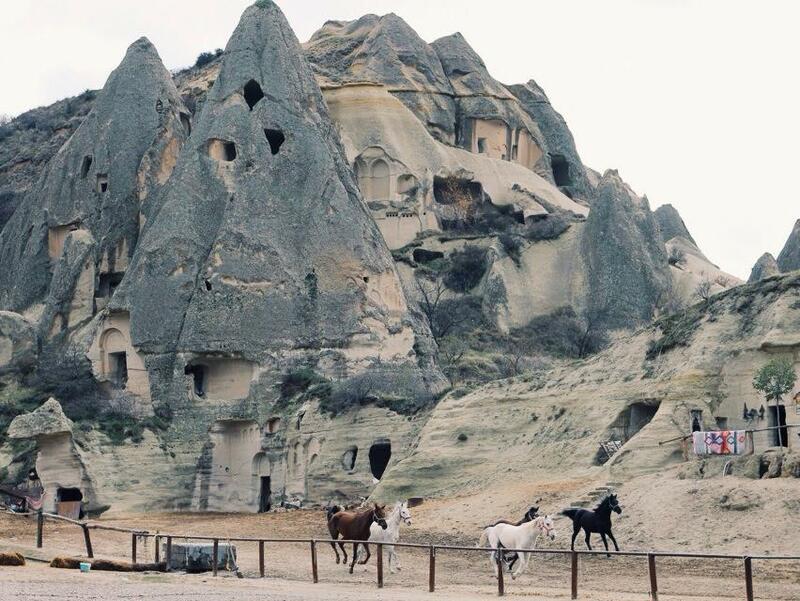 Here you can lookout over tons of rock formations commonly nick-named as “fairy-chimneys”. 5PM From the Panorama, if you still have time before sunset, I recommend spiltting from your tour group and heading just up the road to Uchisar Castle. If you don’t have time this could be a nice lookout spot for the next morning as well. 7PM Wander back through Goreme and pick a restaurant serving pottery kebab. This traditional meal cooked in a clay pot is absolutely delicious and a perfect end to the day. 9PM Go back to your cave hotel/hostel and start planning your next early day of hiking. On the way back, stop in the shops and pick up a beautiful carpet to take home! What’s your suitcase packing method? Essentials and a couple fun pieces for going out while leaving a little room for souvenirs. Do you have any tips for go through airport security? Keep everything you’ll need easy to reach but secure. Dress simple. What is the one thing you must have while traveling? A camera. How many languages do you speak? English fluently, but I know some Spanish and a little French as well. You in three words. Adventurous, passionate, dreamer. When you’ve had a bad day what keeps you going? Planning the next day. What items can be found on you at all times? Phone/tablet. What are you addicted to? Creating, reading, tv/movies, music. What did you Google last? “Antik Batik appoline”. What is the last thing you took a photo of? A successful homemade Pinterest drink. What’s the one piece of clothing everyone should own? Something that makes you feel invincible. What outfit do you wear on repeat? Sweater, jeans, pointed boots. Where would you like to be five years from now? Happy and improved. What’s next? Embarking on the journey that is Senior Thesis, graduation, and the transition out of school. Follow Jackie on Instagram @jchelales.